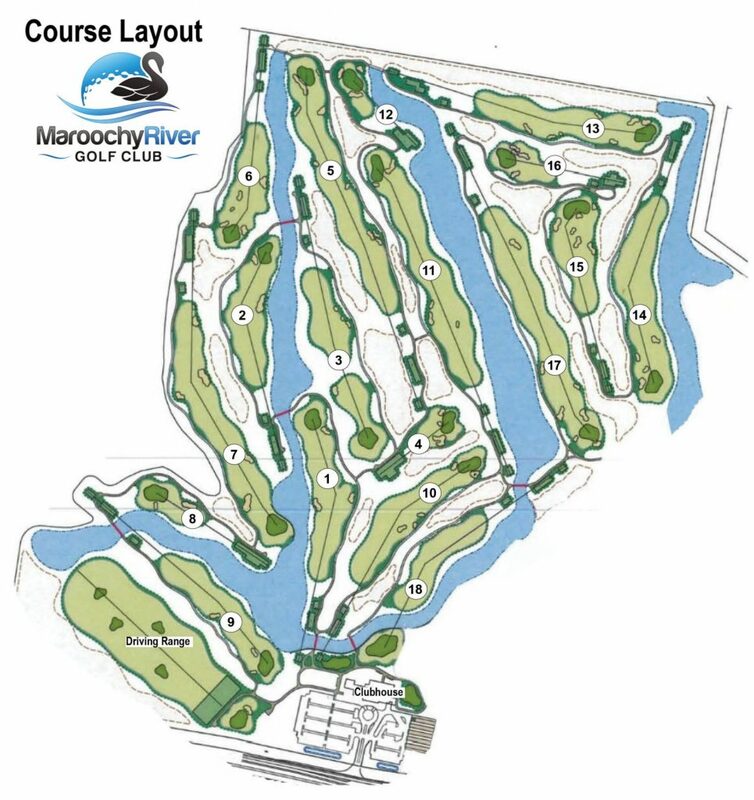 The Maroochy River golf course is a classic risk versus reward layout. Each hole provides a safe option where a bogey – sometimes a par – is almost certain. But the course also tempts the adventurous and ambitious to squeeze a few more metres out of the drive, or to take on a devilishly placed pin. That’s when the carefully placed bunkers come into play, and a player runs the risk of his ball rolling off the sides or back of the green. That’s part of what makes this a great golf course. The waterways – there is water on almost every hole – rolling fairways, and feature walls snaking through much of the course make for a stunning vista, while bunkers and bunker islands break up the fairways. In the distance, iconic Mount Coolum dominates the skyline, keeping an imposing eye on the play. All in all, a magnificent spectacle.